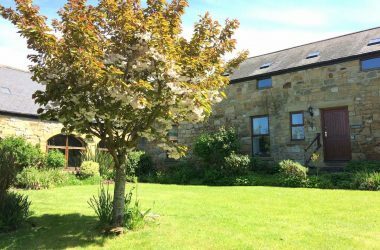 The Old Forge is an attractive stone built property situated in a quiet location just 2 minutes walk to Alnwick town centre. 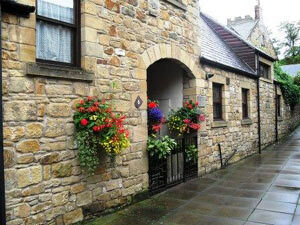 The renowned Alnwick Garden, Castle & Barter Books are all within a leisurely 5 minutes stroll from the cottage. 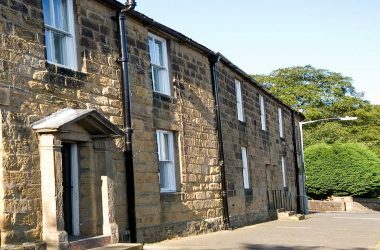 The building is a converted forge, which has been converted to a high standard to make a very comfortable modern home within the charm of an ancient building. The ground floor has a fully fitted large modern kitchen & diner, with solid oak double doors leading into a comfortable lounge, the kitchen as a 32″ plasma screen TV and DVD player. The Lounge has a very comfortable sitting area and a 40″ plasma screen TV with DVD player. 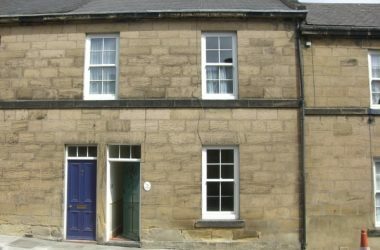 The first floor is within the eaves of the forge and has 2 bedrooms & bathroom, the master bedroom has a double bed and fitted wardrobes, the second bedroom has a single guest bed that can convert into a double, and bedroom furniture. The bathroom has a full size bath with over-bath shower. There is a lovely private sitting our area in the courtyard with its comfortable patio furniture it is the perfect suntrap. Parking Permits available for The Old Forge parking is on St Michaels Lane, close by.